Shreeji Management Consultancy is a name that is counted amid the eminent placement consultants in Ahmedabad (Gujarat, India). Our placement consultancy firm is engaged in mediating between the job aspirants and different organizations. 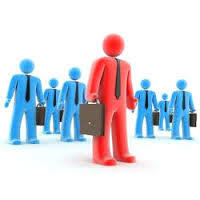 We help the job seekers in finding a suitable job opportunity in their preferred company. Our extensive database of companies helps us in searching for the most appropriate job opportunity in various industries. Our services are also helpful for the organizations, as we place the most efficient and well-qualified in their companies for different job vacancies. So, contact us anytime.